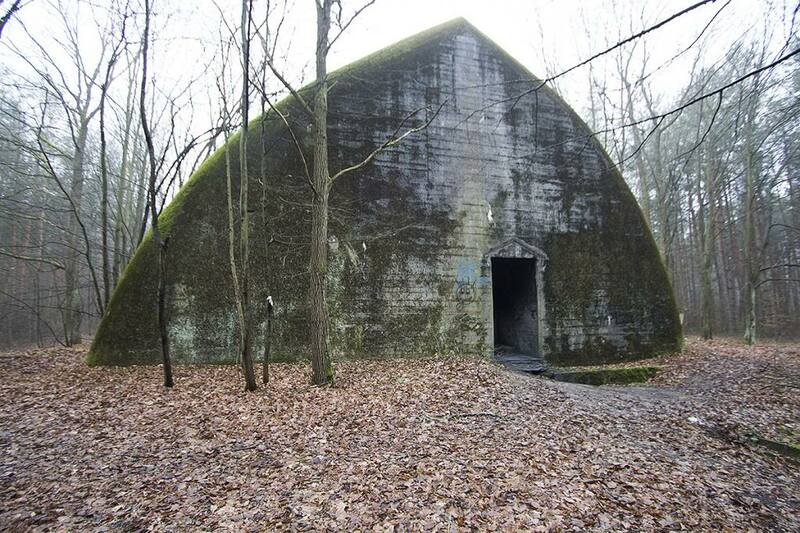 Anlage Mitte Railway Shelter in Jelen is one of four railway shelters built in Poland during the Second World War. was a pair of railway headquarters built for Adolf Hitler in southern Nazi-occupied part of Poland during the Second World War. 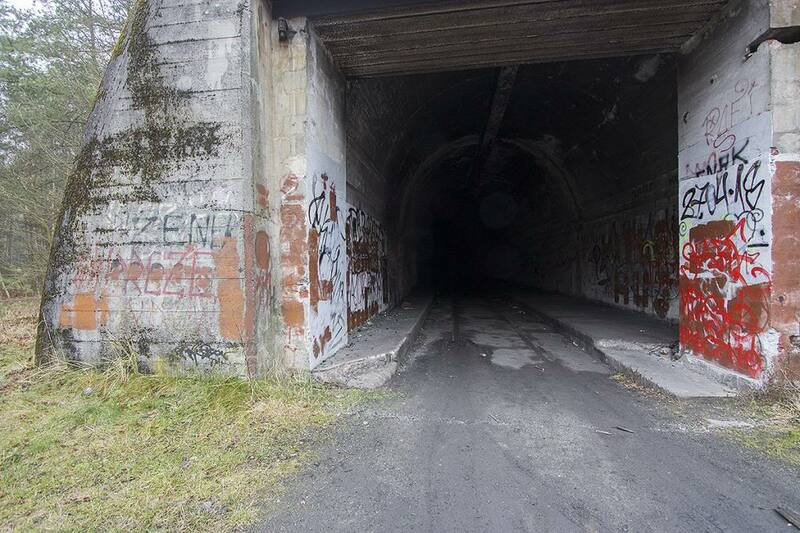 Two reinforced tunnels were built near the rail line between RzeszÃ³w to Jasło.Both 480-metre long railway tunnels at Stępina and StrzyżÃ³w were built by the Todt Organization using Polish slave labor from nearby concentration camps. 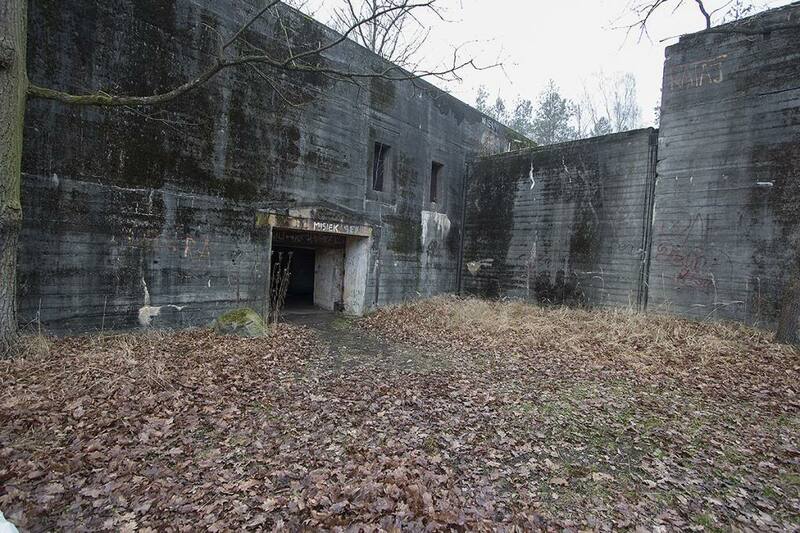 The shelter were constructed to be 8.3 metres (27 ft) wide and 12 metres (39 ft) high with reinforced concrete walls 2 metres (6 ft 7 in) thick.The tunnels were surrounded by barracks, personnel bunkers, and watchtowers. Other buildings were used for operations, administration, and maintenance. 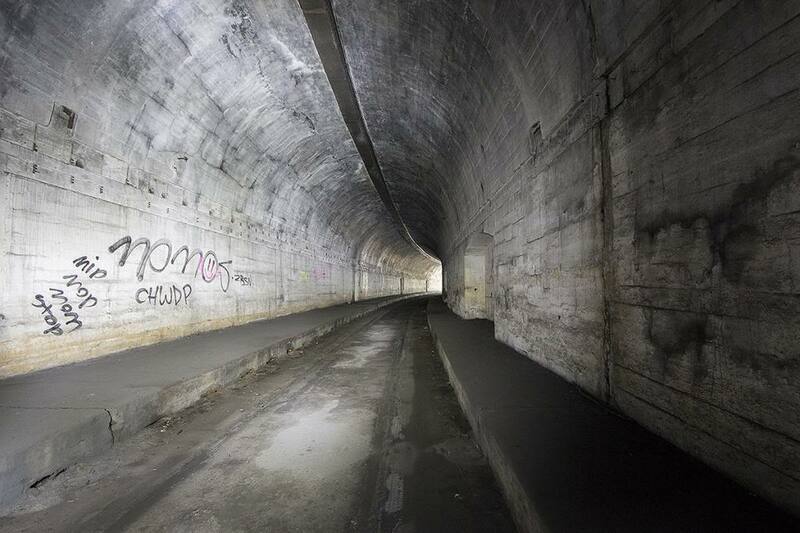 Inside each bomb-proof tunnel, there was a rail track and a platform. 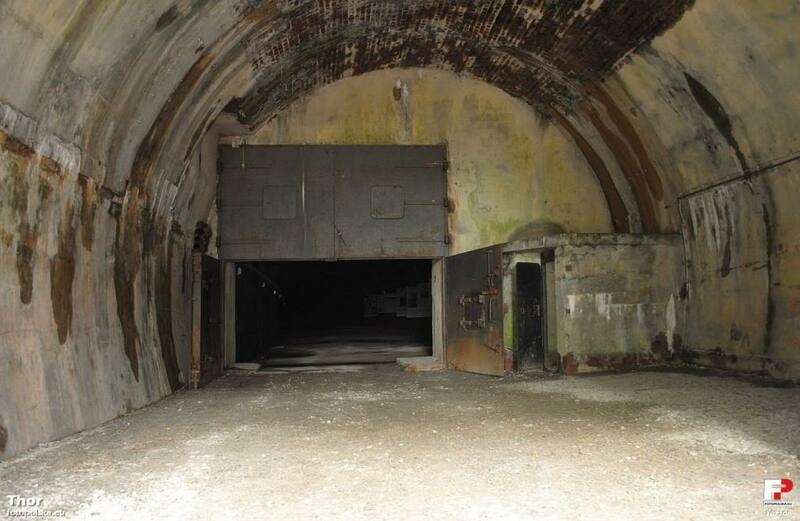 The tunnel portals were protected by two-wing armoured doors with firing embrasures for the guards. 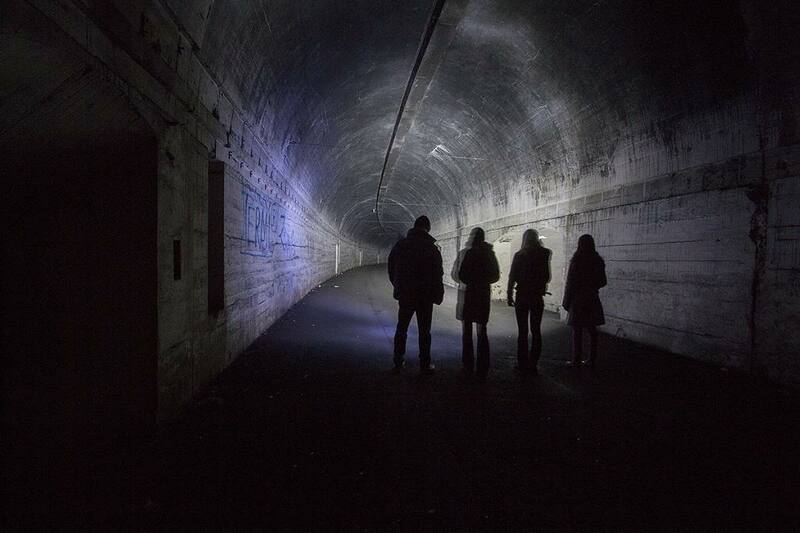 stayed in the bunker at StrzyżÃ³w while Mussolini's engine and carriages were at Stępina. The actual meeting to discuss the war with Soviet Russia, which lasted several hours, was held aboard Hitlerâ€™s train, which he never left. The next day, his train was the first to depart. 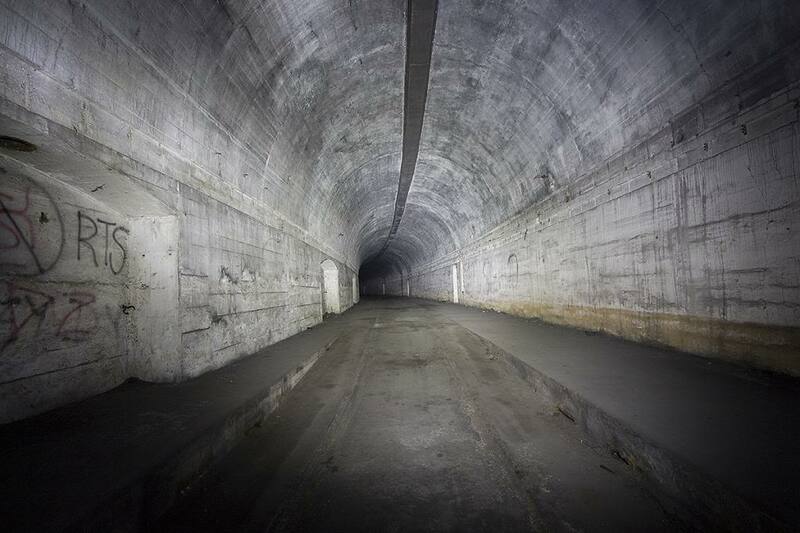 By the summer of 1944 the facilities were abandoned because of the Soviet advance. The decision to build the headquarters â€Anlage Mitteâ€ was made as late as September or even October 1940. 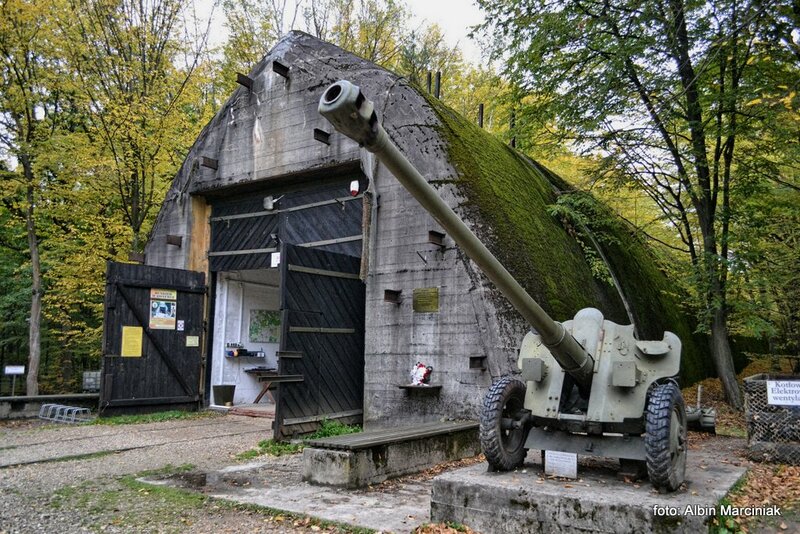 It was planned that by June 1941, in Konewka and Jeleń two complexes of reinforced concrete shelters would have been set up. 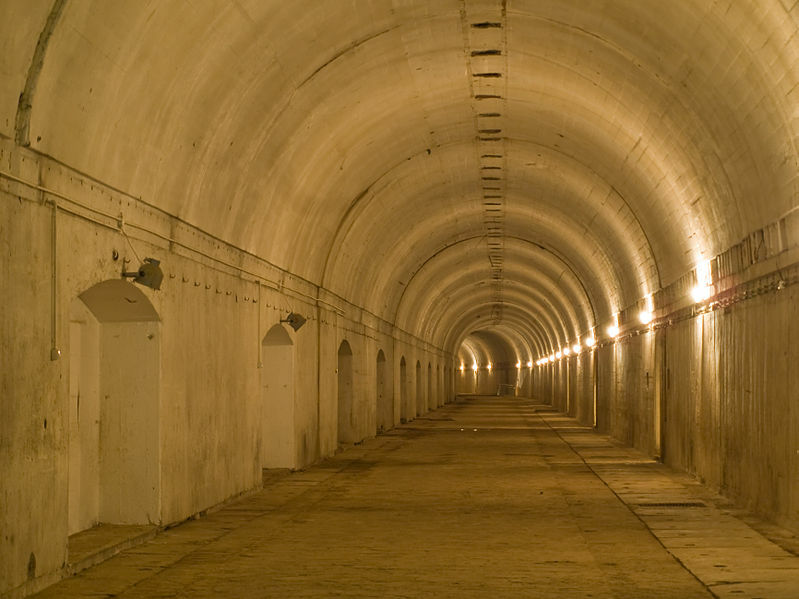 The major objects of these complexes were meant to be huge railroad shelters which could shelter whole sets of staff trains, several of which the Germans had been using since the beginning of the war as mobile centres of command for military staffs, and also for the highest dignitaries of the 3rd Reich with Hitler as its head. 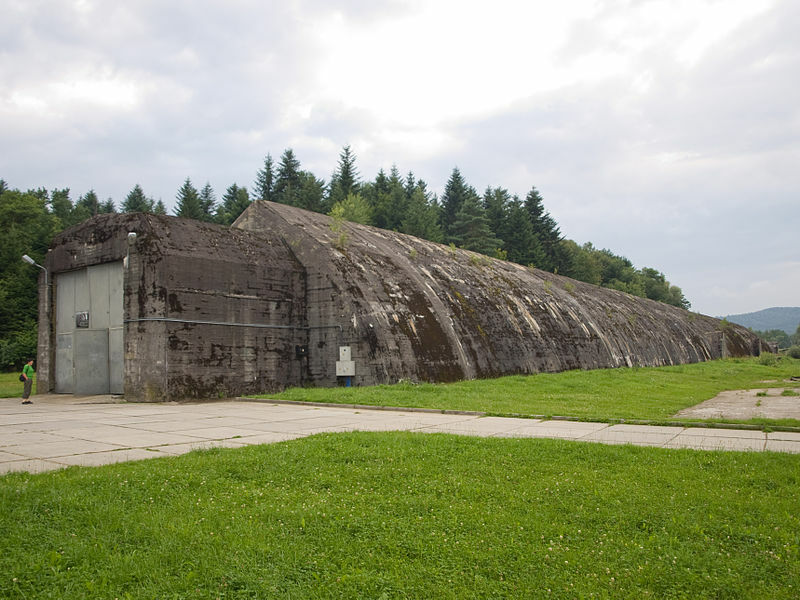 Within a year, two similar complexes of objects had been built at Konewka and Jeleń; they were somewhat different from each other in shape and length of railway shelters; the shelter at Konewka is 380 metres long and it is straight, while the shelter in Jeleń is somewhat shorter: it measures 355 metres and has the shape of a gently curving arch. 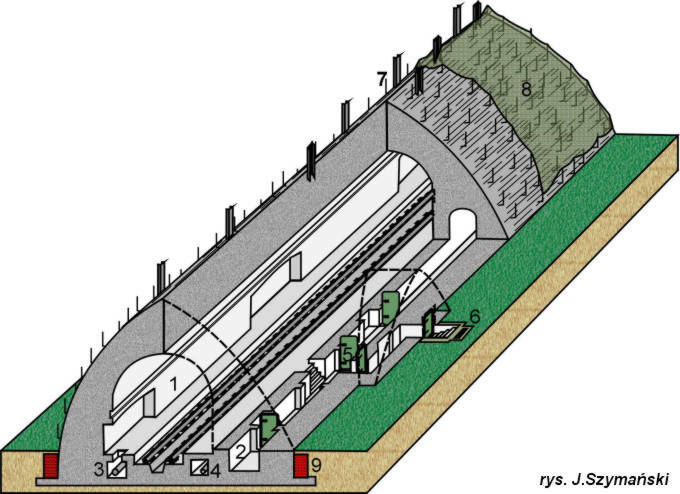 The cross section of both shelters is in the shape of a pointed arch, inside, on their entire length there stretches a semicircular aisle with rail tracks, from which there go ways down to a smaller, parallel corridor divided by steel, hermetic doors into compartments for railway service staff. 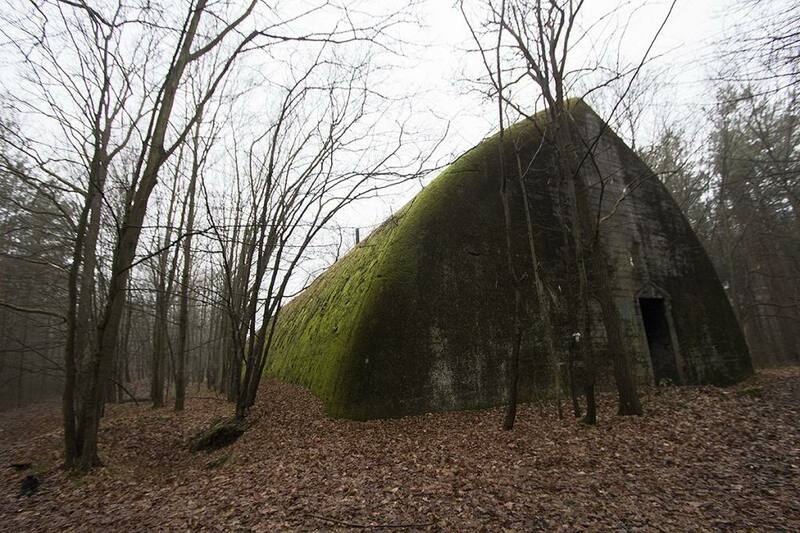 The shelters are 9.5 metres high and their breadth at the base is 15 m; their characteristic shape â€Dome Bunkerâ€ (Cathedral Bunker) was supposed to cause ricocheting of air bombs falling down on such a construction. 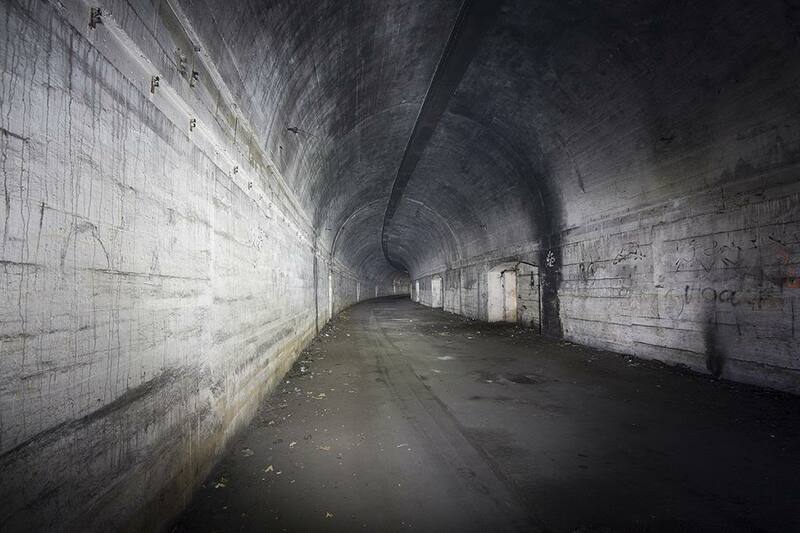 Near the large shelters, smaller ones were built for the technical stock containing generator, boiler rooms, ventilators pushing warmed-up and filtered air through underground channels into the railway shelter. Other shelters had water supply systems and water tanks in them. The quarters were also furnished with water-supply installations, sewage and dehydrating systems with sediment equipment and sewage settlers as well as fuel tanks for generators. At Jeleń, outside the borders of the quartersâ€™ area (in nearby Białobrzegi) there were bunkers of deep-water wells and transformers, while at Konewka there was the shelter of the well situated on the grounds of its quarters. Despite the fact that the construction works were on a large scale and the cost of building gigantic shelters of the quarters â€Anlage Mitteâ€ â€“ immense, the Germans did not use this centre of command either during preparations for, or during the war with the Soviet Union begun by Hitler on June 22, 1941. 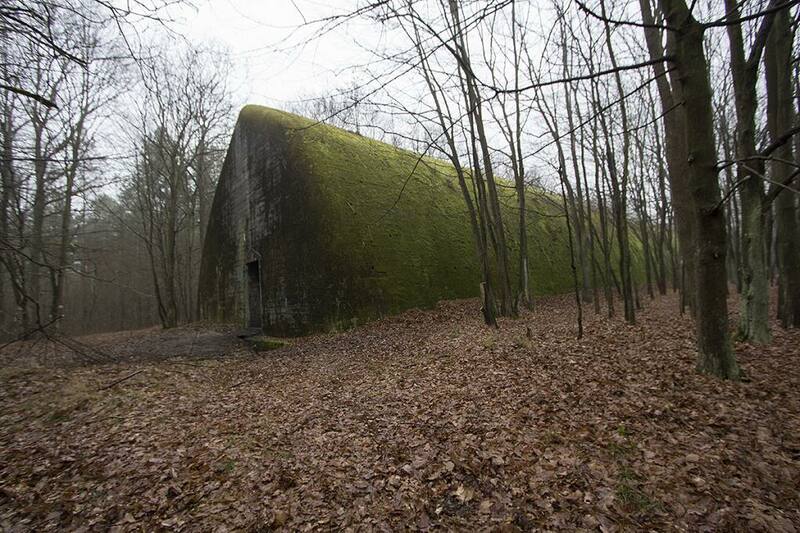 In January 1945, the Germans left both shelters without a fight. Enjoy, hope its not too boring!